How does this new entry-level DAW shape up? It may have an entry-level price tag, but Essential 4 looks like a serious bit of music software. Launched at the 2008 Winter NAMM show, Cubase Essential 4 is the new entry-level, cross-platform DAW from Steinberg. If you want something a bit more accessible, the company also offers Sequel, but if it´s a full-on DAW you require, this is now the German company´s most affordable solution. As you might expect, the software is based on the full version of Cubase 4. This being the case, it offers plenty of that application´s functionality. HALionOne is a General MIDI compatible sample player with patches that are derived from Yamaha MOTIF waveforms, while MediaBay is Steinberg´s sound management utility. Instrument Tracks make it easier to call up and use virtual instruments, while Track Presets can be employed to store complete track/channel settings. One Cubase 4 feature that you won´t find in Essential, though, is the Control Room, a system that gives you a great deal more monitoring flexibility. Thankfully, there´s plenty of other new stuff to offset this disappointment: a comprehensive set of VST3 plug-ins; the guitarist-orientated (and self-explanatory) Amp Simulator; real-time timestretching and pitchshifting courtesy of AudioWarp; and the Arranger Track, which will suit people who like the concept of pattern-based music creation. 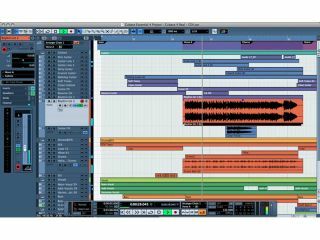 Cubase Essential 4 is certainly significantly better than Cubase SE 3 - the application it replaces - and at $149/£120, it´s also pretty affordable. It´ll enable you to get a feel for how a ‘real sequencer´ works, and its feature-set is rich enough that you should be able to create productions from beginning to end. Of course, there are other options available at the entry-level - Cockos´s Reaper, Cakewalk´s Sonar Home Studio 6 and Mackie´s Tracktion 3 should also be considered - but advantage of Cubase Essential is that the skills you´ll learn from using it are easily transferable to other, more powerful software. This isn´t a deal-breaking issue, but it´s certainly one to keep in mind.